Michèle Bayford is the creative force behind these beautiful handmade lamp shades, designed and created in Cornwall. 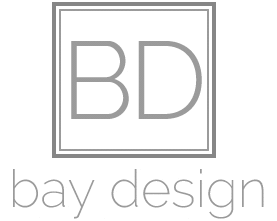 She founded Bay Design ribbon lamp shades 13 years ago. Michèle has an excellent eye for detail and colour co-ordination. Skills she acquired during twenty-five years as the visual merchandiser for a large Anglo-French company based in Hertfordshire. Having worked her way up through the ranks she left as VM manager. Michèle’s ability to combine the rustic with the contemporary may in fact have something to do with her French heritage. She is able to seamlessly bring together the soft voiles and intricate trimmings for which the French are so renowned and the sharp, clean and contemporary lines so sought after on this side of the channel. The mix is magic. Her bespoke ribbon lamp shades work perfectly within a range of settings, whether it is a farm house, cottage, stately home, country house or city apartment. Michèle is always developing new themes, finishes and colour combinations. She is dedicated and enthusiastic about design and can offer innovative advice and colour guidance to suit any setting. Much of her business is repeat and recommendation and her client base includes some major corporate enterprises as well as known individuals in the creative world. 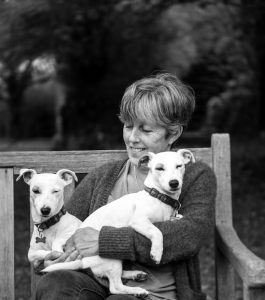 Michèle, her husband Mark and their menagerie of horses, sheep, chickens and Betty & Albert their two jack russell’s are all now based in the West Country. She will continue to exhibit at fairs in London.